Chicago thrashers WRATH have premiered the lyric video for their new track "Draw Blood", which you can check out below. The track comes from their long awaited new abum RAGE, in stores October 5th via COMBAT/EMP. 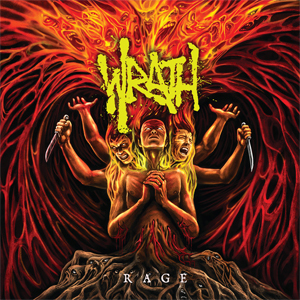 Produced by Chris Djuricic & WRATH, and mixed and mastered by the legendary Bill Metoyer (SLAYER, SACRED REICH, HELSTAR), with explosive cover art created by Ipoet Poetra/Five Mlligrams and WRATH, Rage is 10 tracks of unadulterated Thrash Metal fury.